This year my family found ourselves faced with what seemed to be a hopeless situation . Our beautiful little granddaughter, Kenzie was diagnosed with Rett Syndrome a rare genetic disorder that affects one in ten thousand little girls. Kenzie developed normally until about 10 months when we noticed something was going on, she stopped playing with toys, did not make eye contact, the use of her hands diminished and she stopped trying to crawl. After months of doctors’ visits and specialists Kenzie was diagnosed with Rett Syndrome and currently there is no cure. We felt hopeless and crushed. After weeks of trying to sort out what this meant for Kenzie, my daughter Kassie moved from hopeless to HOPE. While she could not change immediately the situation her daughter was facing, she decided to try HOPE. Hope for a cure, hope for a better life for Kenzie and thousands of little girls with Rett Syndrome. Hope fueled Kassie to organize Kenzie’s Lemonade Stand to Cure Rett to raise funds for the Rett Syndrome Organization to fund research and a cure. 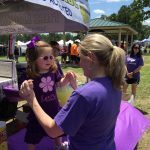 Kenzie’s Lemonade Stand to Cure Rett was staffed by over a hundred volunteers at the Texas Music Festival. Hundreds of free glasses of lemonade were served and several thousand dollars were donated to find a cure for Rett. This was HOPE in action and it worked to remove hopelessness and bring HOPE. Hundreds of people giving thousands of dollars putting their HOPE in a cure for Rett. 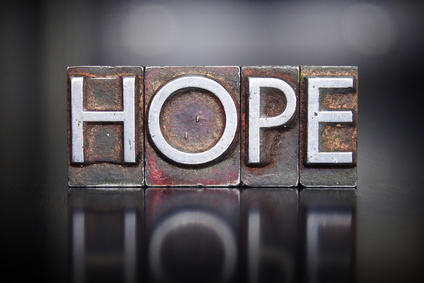 HOPE for a better life, HOPE for a longer life and HOPE in the face of hopelessness. Give HOPE a try and you will always use it. Donate any amount to Kenzie's Lemonade Stand and as a gift we will send you a copy of Be Bodacious: Put Life in Your Leadership. Please provide your shipping information below.